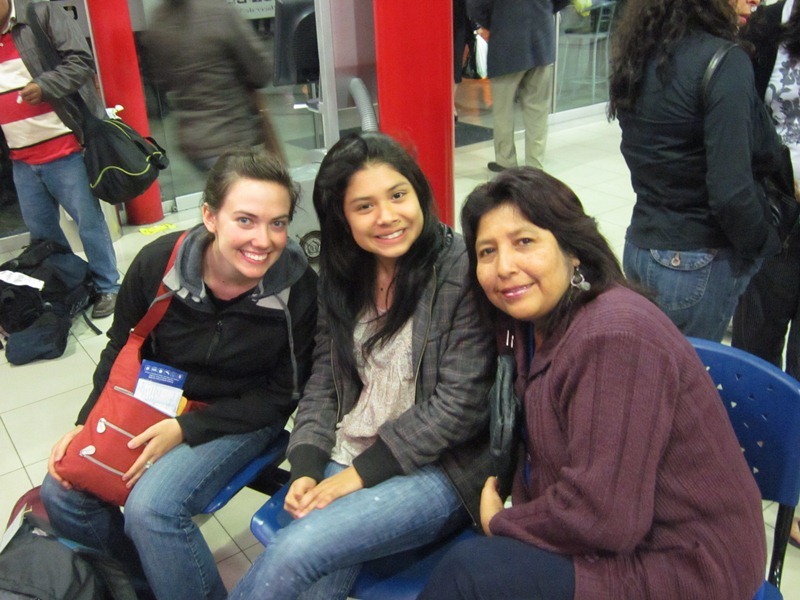 From planting trees to performing ultrasounds to practicing English with students, the Peru SSTers jumped right in to the service portion of the semester. 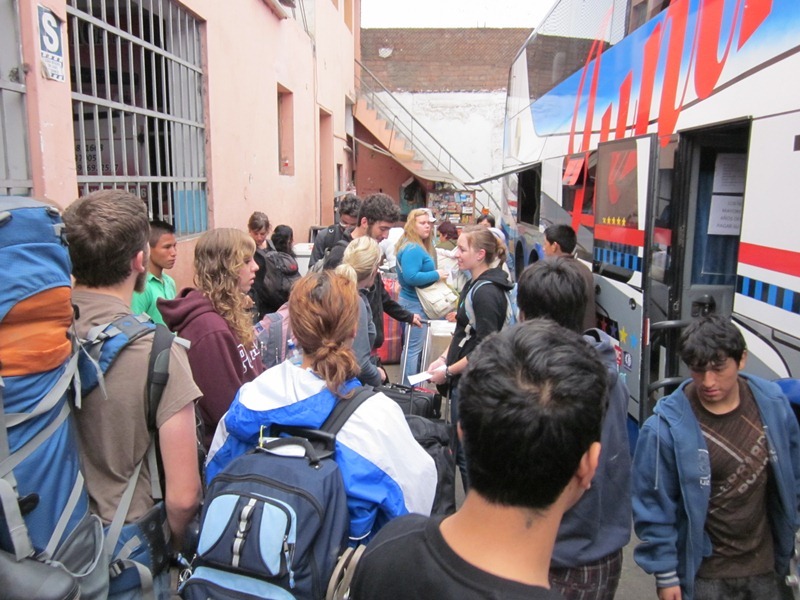 They just wrapped up week #2 on service and have gracefully transitioned into their new environments, each student getting to know a new host family, a new home, a new town, a new job. 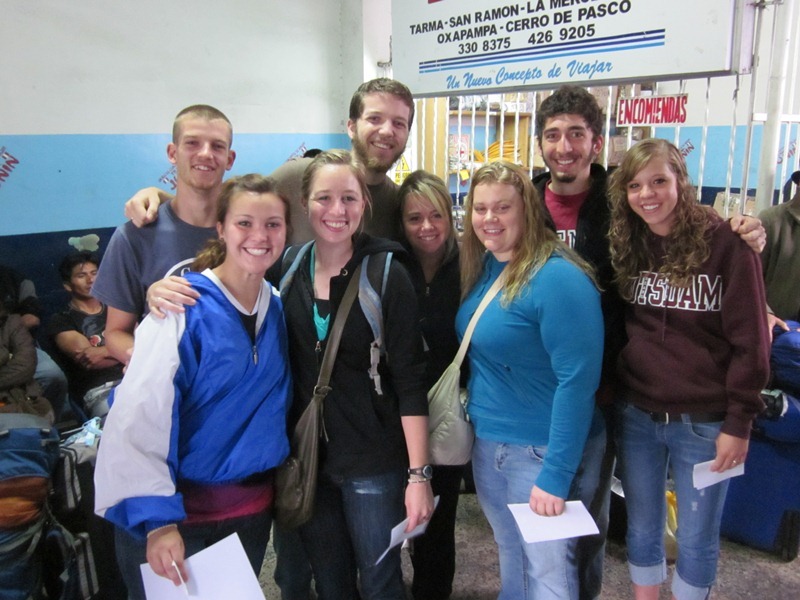 Next week we’ll be posting news and photos from students at their service sites. 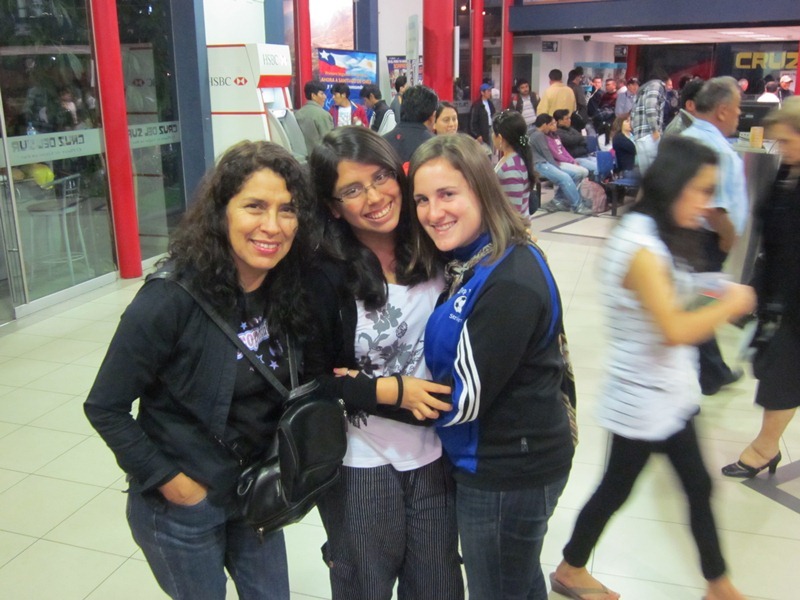 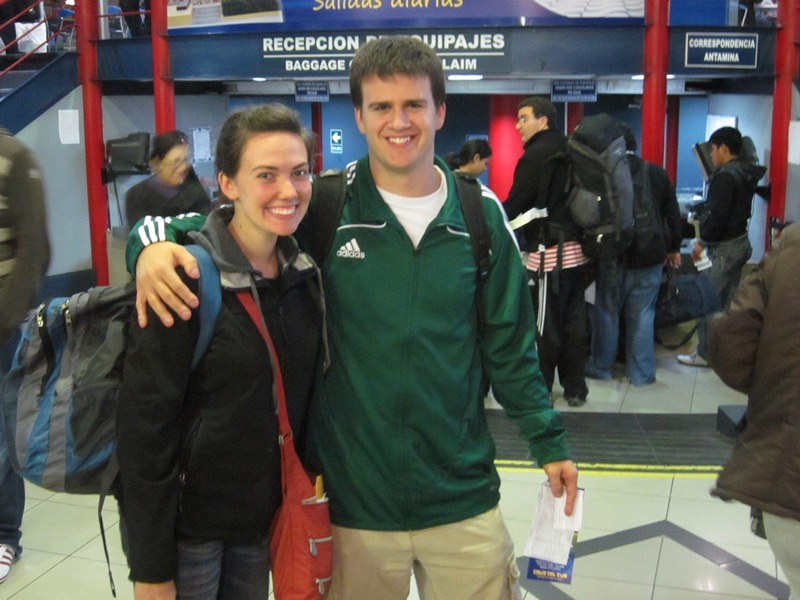 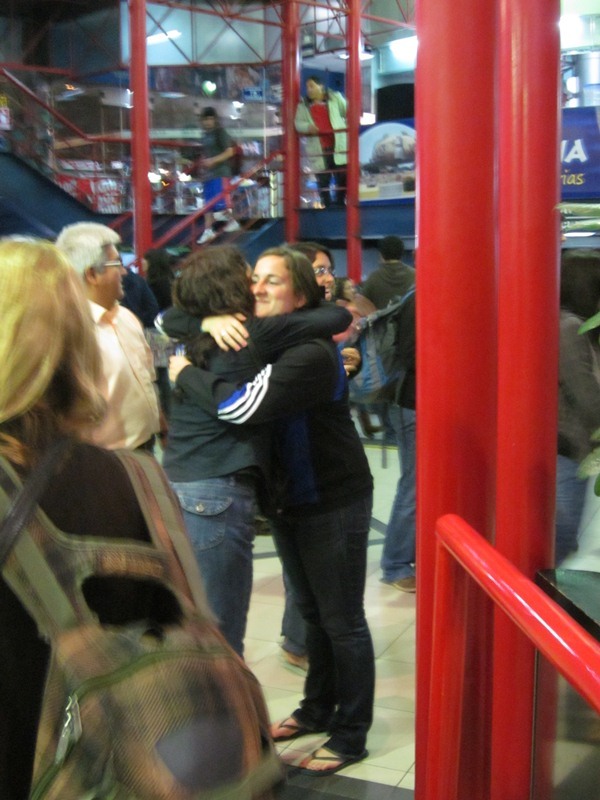 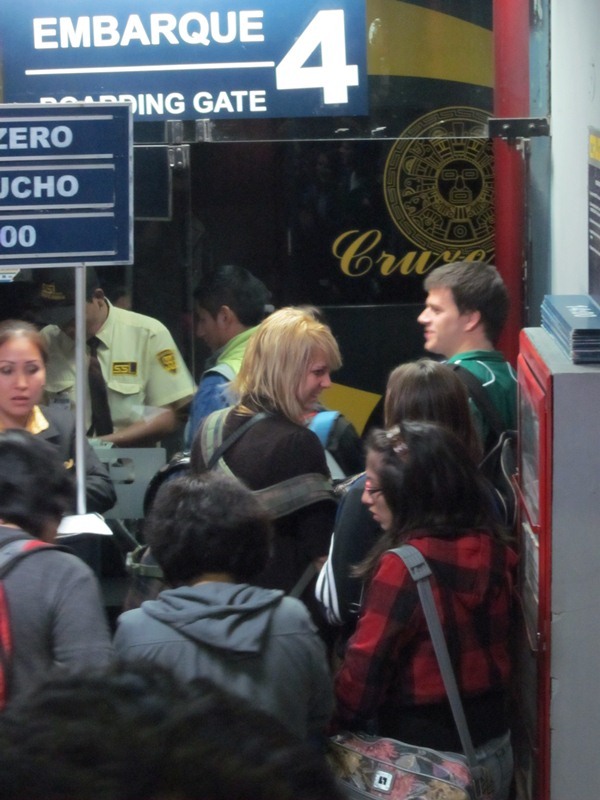 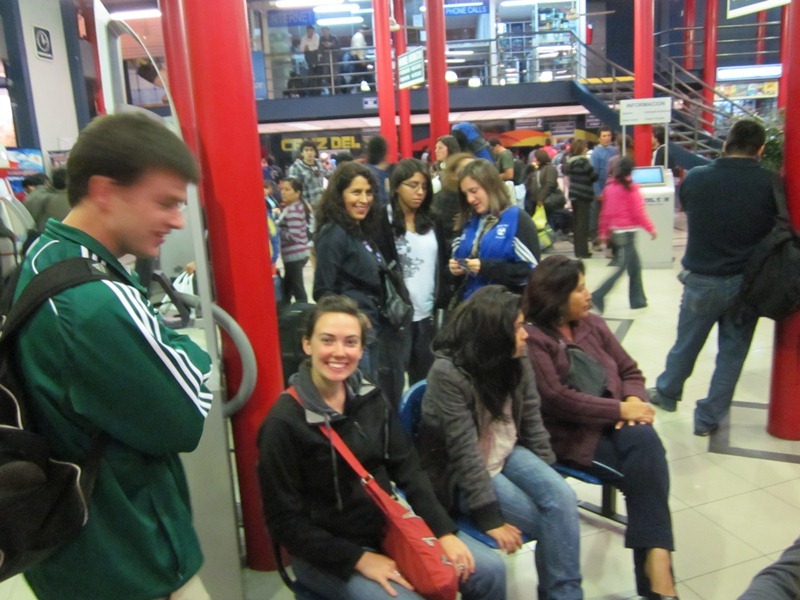 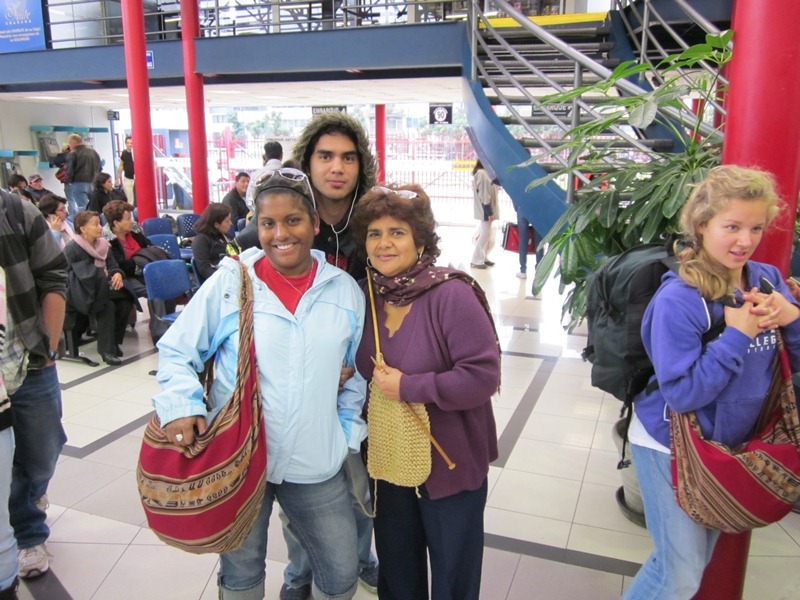 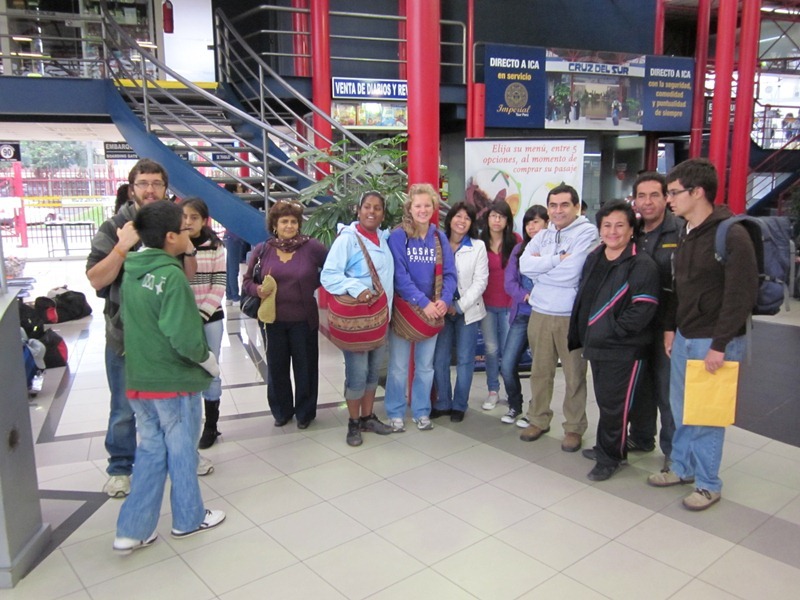 In the meantime, here are photos from their departure from Lima. 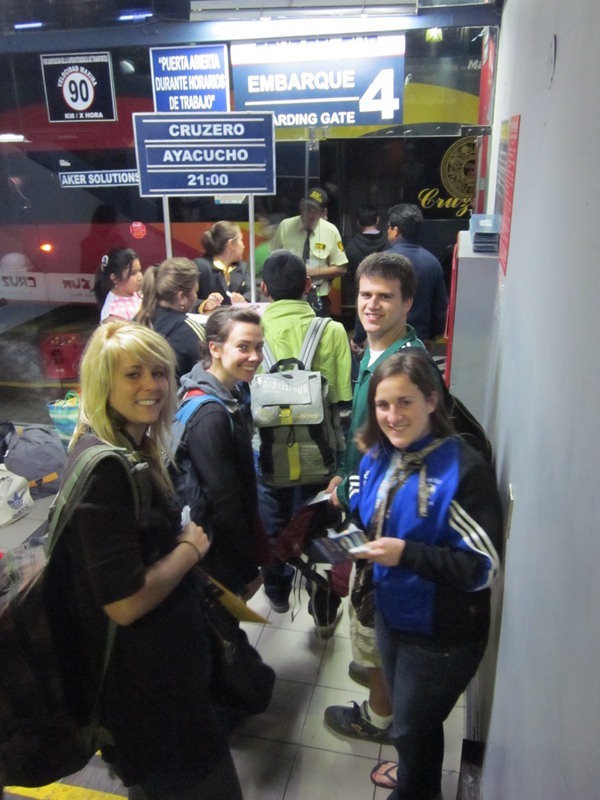 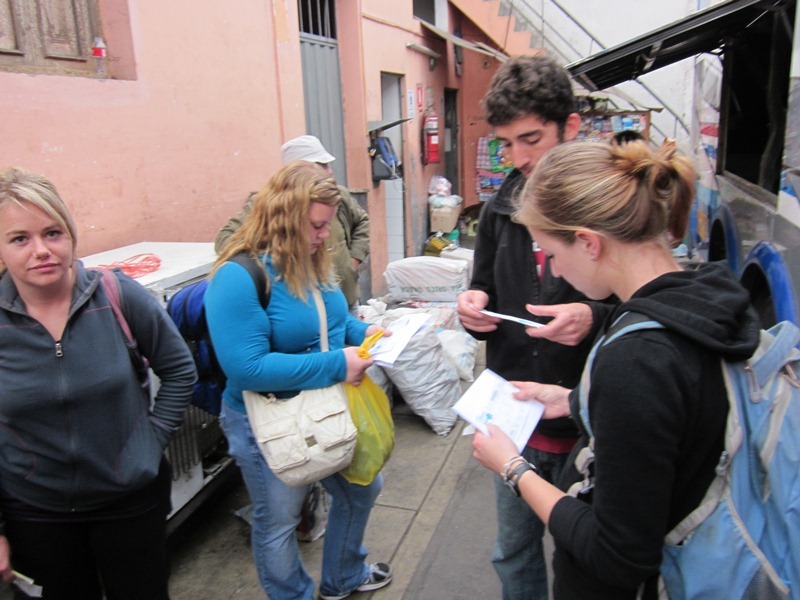 Jenae, Kimberly, Peter, and Tahnee took an overnight bus to the mountain town of Ayacucho, about 365 miles southeast of Lima. 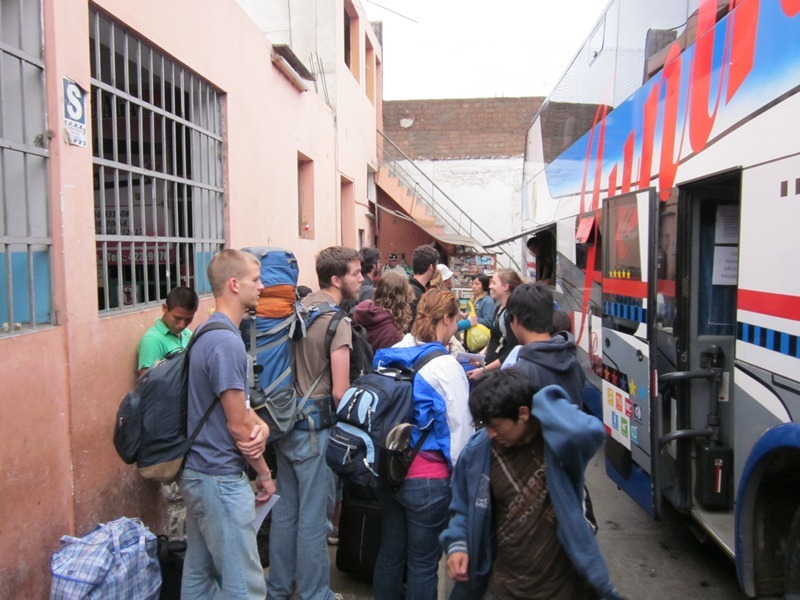 The next morning Jonathan, Maria, Minda, and Nathan left for Chimbote, a coastal city about 275 miles north of Lima, and the rest of the group boarded a bus heading east into the jungle. 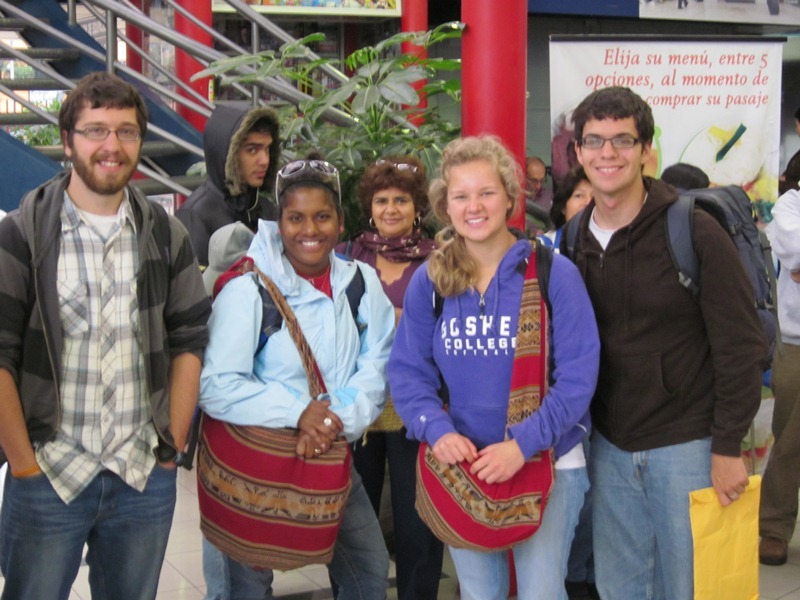 After about 170 miles, Caleb, Kayla, and Mara reached their destination, Tarma, a town known as “the pearl of the Andes,” and Greg, Jennifer, Karina, Matt, and Naomi continued another 35 miles to the twin jungle towns of La Merced and San Ramón. 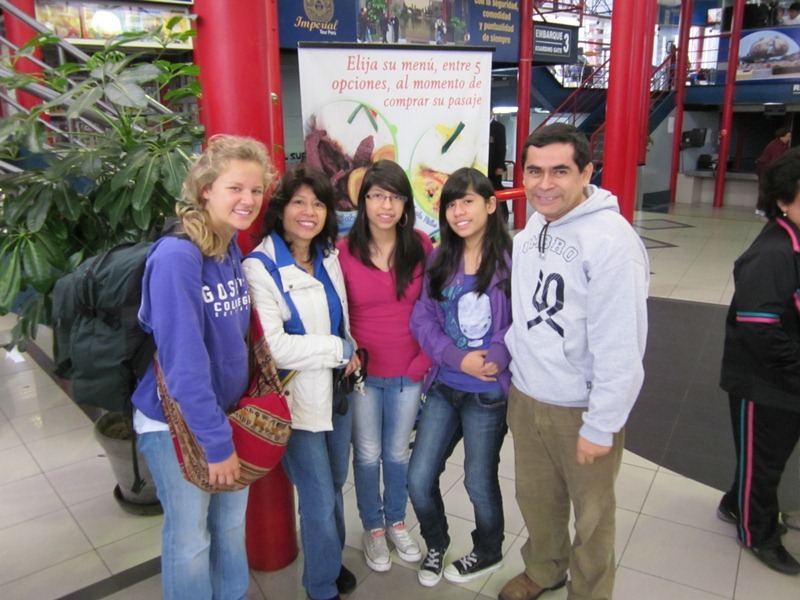 Check back soon to hear about their exciting adventures on service!